Role conflict occurs when a job possesses inconsistent expectations incongruent with individual beliefs, a situation that precipitates considerable frustration and other negative work outcomes. Increasing interest in processes that reduce role conflict is, therefore, witnessed. With the help of information collected from a large sample of individuals employed at an education-based healthcare institution, this study identified several factors that might decrease role conflict, namely mindfulness and organizational ethics. In particular, the results indicated that mindfulness was associated with decreased role conflict, and that perceived ethical values and a shared ethics code were associated with decreased role conflict and increased mindfulness. 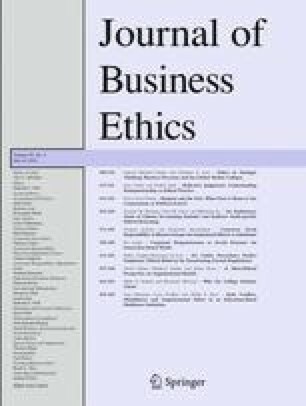 Despite the study’s limitations, these findings imply that companies might better manage role conflict through the development of mindfulness and organizational ethics. This paper was presented at the Ethics in Public Life Meeting: Understandings, Applications, and Controversies, Global Conference, Friday 13th March – Sunday 15th March 2009, Salzburg, Austria. The authors wish to thank Jennie Godkin of Lamar University for her assistance on this manuscript. 3.Department of Management and MarketingUniversity of WyomingLaramieU.S.A.